I had such a wonderful time getting to know Melissa and hearing the story of how God redeemed the many years she spent waiting to become a mama. The time I was able to spend with her was truly such an encouragement to me! 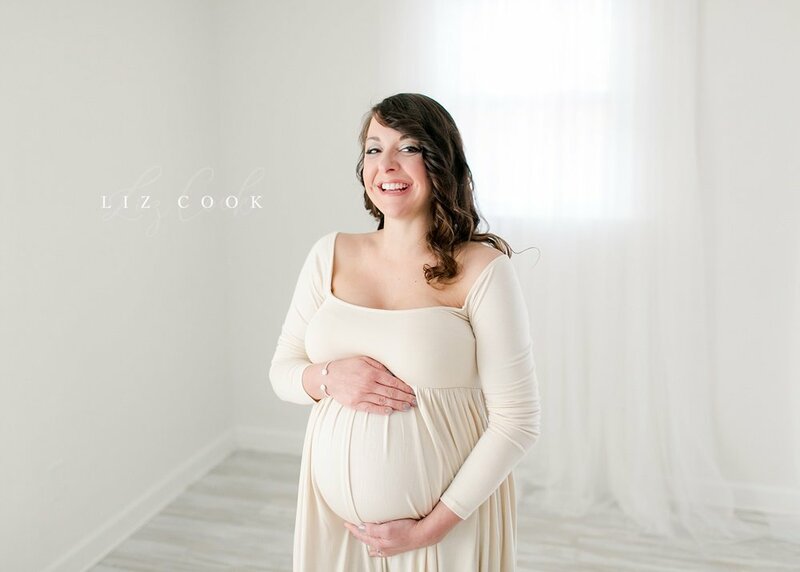 Melissa reached out to me in early January and since she was just a few weeks out from her baby’s due date, I wanted to get her in the studio for a consultation as soon as possible (all consultations are complimentary with no obligation to book a session). We squeezed her in within the week and she decided to move forward and book both her maternity and newborn session together. 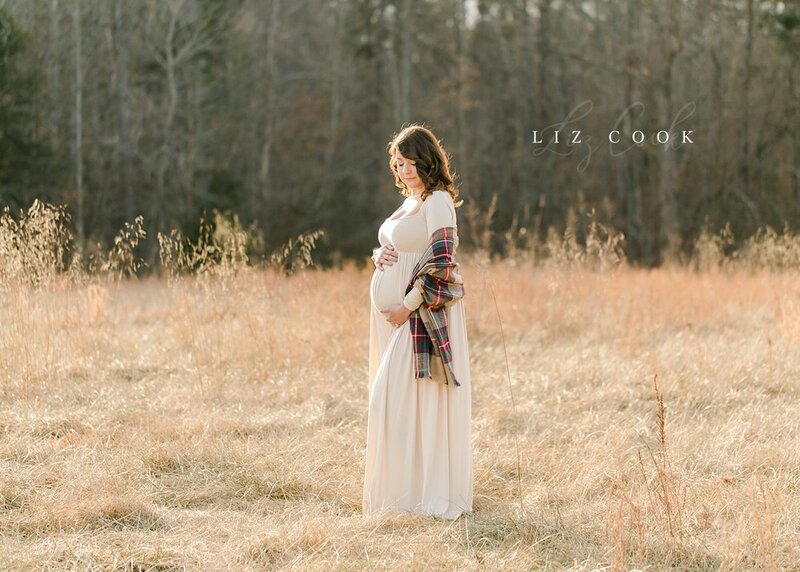 She also told me she would be the only participant during her maternity session and she wanted to use it as a time to really celebrate this season and embrace the journey she has been through to get to where she is today. What a beautiful story she has! I want to take a minute to note that I have photographed many expectant mothers alone whether they are single moms, have a partner who doesn’t love to be in pictures, or simply want to do something for themselves! And I love when moms don't let their fear of being photographed alone hold them back! Each baby and each pregnancy deserves to be celebrated! I also really enjoy these sessions because oftentimes we have extra time to play with additional outfits or even go to double locations! Just like this session. :) (When I’m working with just one person things move along pretty quickly which allows us a little extra time for travel!) 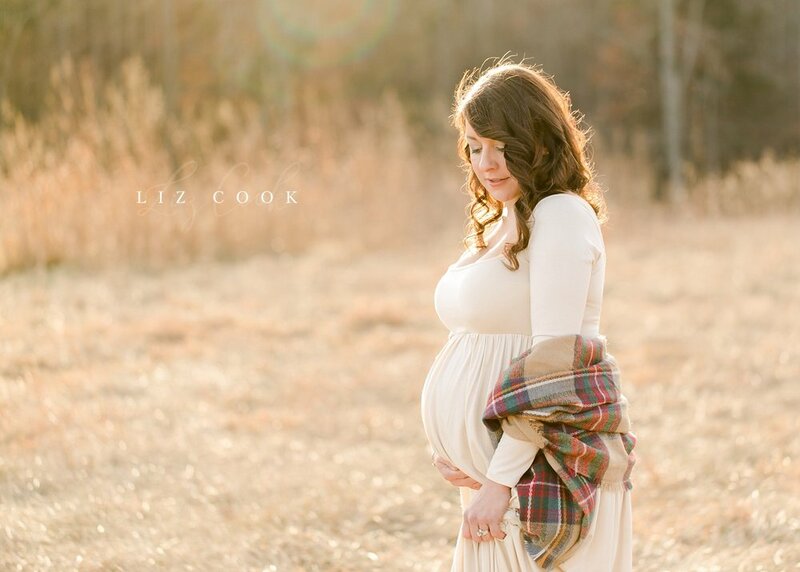 So if you are interested in having a maternity session but were worried about doing it alone, let me assure you that you don't need to worry! On the day of this session, since Melissa opted to add on hair and makeup services with our exclusive stylist, she arrived to the studio about one hour prior to her session start time. I always love to get our stylist’s opinion on last minute details and she gave us the great idea at this session to use Melissa’s handmade maternity belt (which she received as a gift) as a hair piece at the start of her session. It matched one of the dresses Melissa had picked out from the studio wardrobe perfectly! The day of Melissa’s session was chilly and windy. Because of the cooler weather, we made the decision to shoot the first half of her session inside the warm studio. Since the studio and the field are so close to one another and Melissa was the only subject in the pictures, this worked out perfectly! She received a variety of great images and was able to stay comfortable and warm for almost all of the session. At the very end we were both pretty cold, but she modeled SO great for those last few photos, you can’t even tell!